Climatech is Wallingford Connecticut's Premiere HVAC Service Contractor. 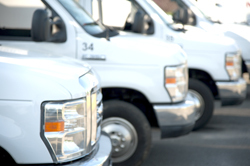 For over 13 Years we have been serving the Town of Wallingford for Residential Services and our Commercial Division serving the entire state of Connecticut with hundreds of satisfied and loyal customers over the years. Wallingford has been a leader in the Commercial industry and Climatech has been there to help businesses with their HVAC needs. We are a growing business located off of Exit 13 of I-91 at 150 Dudley Avenue, Wallingford, CT 06492. You can see our building from the Dunkin Donuts near Colony Lanes on Rte 5 and visit us down the road from Trackside Pizza, Avery Brothers Auto Repair and Scrubbin Bubbles Car Wash.
Our motto is "Provide Prompt Quality Service" and "Customer is #1" attitude which keeps word of mouth the #1 advertisement for our Wallingford Heating and Cooling Services. What makes us different? Climatech = #1 Service. Why call any other Wallingford Contractor whose main business is installation of heating and air conditioning systems and very light service knowledge. Climatech is setup to provide "Service", "Repair", New Installation" and "Replacement" with our GPS Tracked and Guided Service Trucks - Each Truck is fully loaded with the tools and parts to get the repair or replacement done right the first time. Please call us if you live or own a business in Wallingford Connecticut and are considering any of the following and any other of your air comfort systems' mechanical needs! !